Life feels different in Connecticut lately. We feel different. People seem a little more on edge and for good reason. You might feel sad and you might be looking for a return to normalcy. We’ve found comfort in spending time with family and friends around the holiday season in an entertaining atmosphere. 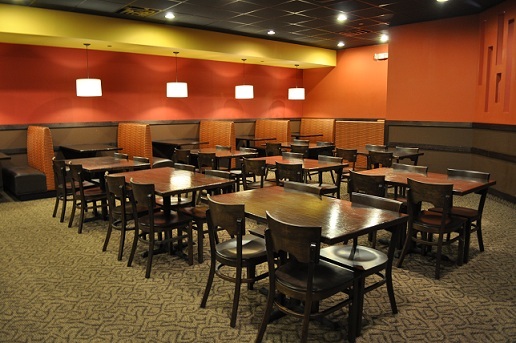 If you’re looking for some holiday cheer in the nutmeg state, why not try Gobi Mongolian Grill in Southington! We’ve visited twice and definitely enjoyed ourselves. What is Mongolian Barbecue? Gobi Mongolian Grill in Southington serves a type of cuisine called Mongolian barbecue. 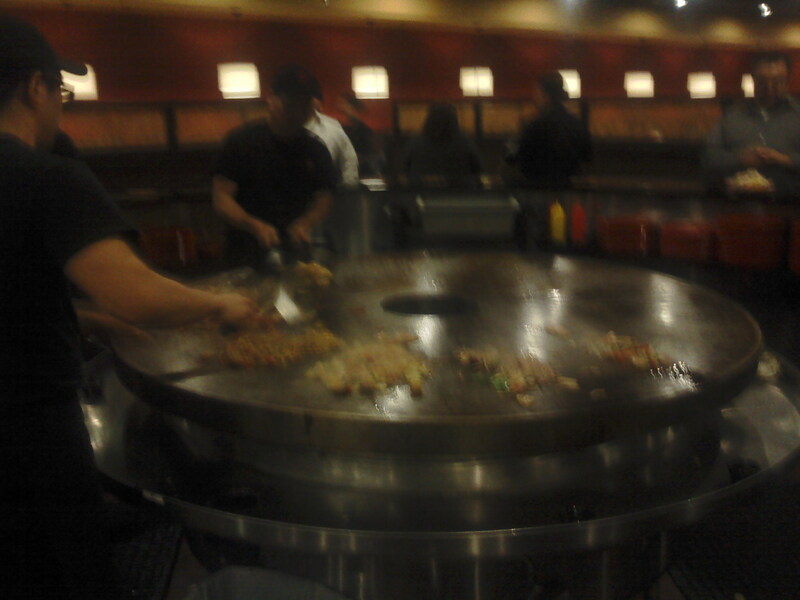 Ironically, Mongolian barbecue relates to neither Mongolian cuisine nor barbecue. Taiwanese restaurants developed Mongolian barbecue during the 1970s. The restaurants’ chefs cooked diverse varieties of meats, vegetables and noodles on round, iron griddles. Imagine a hibachi dinner in which you CHOOSE the contents. Customers handed chefs the vegetables, noodles and sauces and they cooked them without hesitation. This type of tradition caught on in America and has maintained popularity into the 21st century. Atmosphere: 9.5/10: Gobi Mongolian Grill has a spacious interior with an orange and brown color scheme that will likely contribute to your hunger. You will also notice the giant iron griddles that rest in the middle of the room. People wait at marble counters by the griddles with the dishes they selected. Before you visit the counter, go to the buffet area in the back of the room to choose from a variety of noodles, vegetables, meats and sauces for the chefs to cook. Remember-this is all you can eat so grab as many dishes as you desire. You can also choose dessert! Service of chefs: 5/5-These chefs will cook any type of ingredients and quickly. I added pineapple and strawberries to my plate and they cooked it! I was greeted with a few laughs by the chefs and odd looks by Christina and our friend Brandon. Service of waiters/waitresses: 3/5-On a busy night, you might have to wait a little while for refills of drinks. Your table could benefit from ordering a bottle of wine to prevent waiting or a large pitcher of water. When we visited a second time for Brandon’s going away party, we encountered much faster service. Price/selection: 9.5/10-The picture shows only the vegetables you have to choose from! The meats, noodles and sauces boast the same type of variety! You can have as much of this as you want for $15.95. 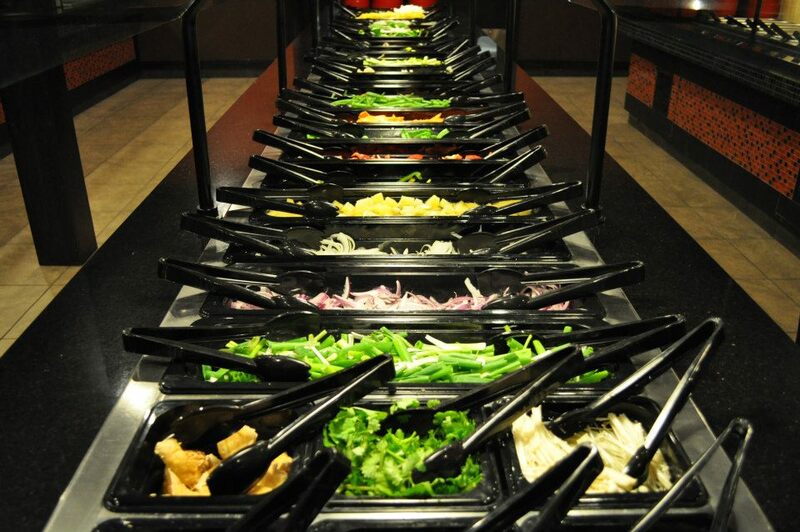 During lunch hours, you can have the same type of buffet for only $8.95. You’ll spend less than you would at a hibachi dinner! The drink prices are reasonable too. Taste: 9/10-You can create a seemingly endless amount of tasty combinations. Unlike most buffets, the ingredients do not sit out to spoil. We encourage you to try new foods, but be careful of your choices. Pay attention to the spiciness warnings if you don’t like spicy foods. If you’re not a daring person, choose foods that you are familiar with. Otherwise, you’ll end up wasting a lot of ingredients. 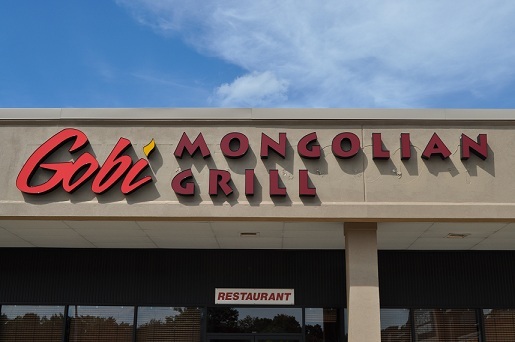 In a nutshell-36/40-Whether you’re visiting at lunch or dinner, with friends or family, Gobi Mongolian grill is a “must try” place in the state of Connecticut. We encourage you to try this place as a date or with a large group of people. You’ll find good times and holiday cheer at this restaurant!